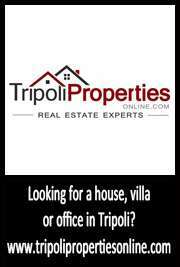 What does a Libya Business Visa Cost? The price of the business visa varies depending on the method that you choose to obtain it. If you have a host company in Libya, they will normally take care of the fees in country. You will be required to pay the cost of the visa at the embassy which ranges $45 – $200 (depending on the length of the visa? If you use a service company to handle your visa process, you will be charged a fee for them to find you a host company, expedite your application, obtain the immigration approval and fax it to the embassy. We have found a reliable service company that charges the fees below. Note: You will still have to pay the Libyan Embassy when they put the visa in your passport or when you arrive at the airport. The pricing above is ONLY for the service of getting the business visa approval. Contact us for the most current pricing OR for special rates! Previous Post How do I get a Libya Business Visa? Next Post Can a foreigner buy a car in Libya?